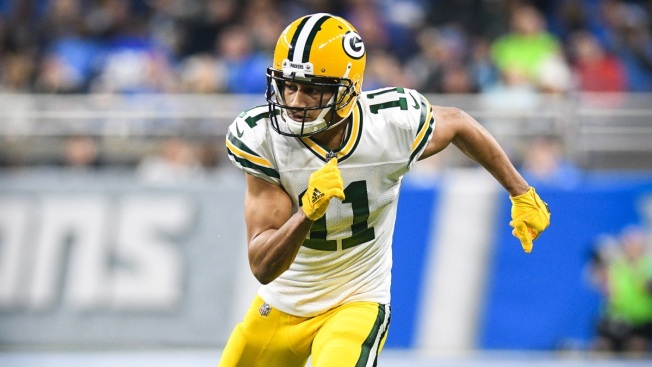 Green Bay Packers wide receiver Trevor Davis was arrested for making a bomb threat at LAX. Fifth round NFL draft picks are often better seen than heard. They particularly shouldn't be heard making errant bomb "jokes" at the airport. Police say Green Bay Packers wide receiver Trevor Davis was arrested after falsely claiming to have explosives while checking in for a flight at Los Angeles International Airport. Airport police spokesman Rob Pedregon said Monday that Davis was booked on a charge of making a false bomb threat at an airport and released with a summons to appear in court. He said Davis was checking in for a Hawaiian Airlines flight when an airline employee asked him whether he had any explosives in his bag. Pedregon said Davis said "yes" and asked a woman he was traveling with, "Did you pack the explosives?" Airline employees called police and Davis was arrested. The woman wasn't charged. The team said it was aware of the matter and was still gathering additional information. Davis was drafted by Green Bay in the 2016 NFL Draft. In 2017, he was the starting kick and punt returner and helped the Packers beat the Cleveland Browns on December 10th with a 65-yard punt return, setting up the game-tying touchdown late in the fourth quarter. He was expected to report to the first day of Packers offseason workouts before the incident.